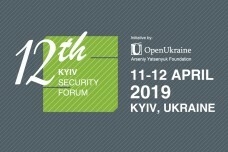 Kyiv Security Forum Discussion "What should we expect from the 2018 NATO Summit?" was held on July 10th. 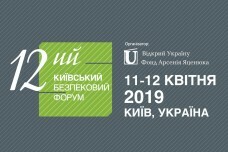 The discussion, organized by the Open Ukraine Foundation, was attended by Prime Minister of Ukraine (2014-2016) Arseniy Yatsenyuk, the U.S. Ambassador to Ukraine Marie Yovanovitch, Ambassador Extraordinary and Plenipotentiary of Canada to Ukraine Roman Waschuk, Head of the NATO Representation to Ukraine Alexander Vinnikov. 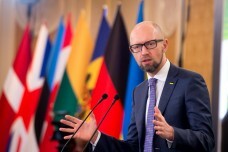 Ukraine, fighting against Russian aggression, "protects not only Ukrainian borders, but also the borders of Europe", the founder of the Open Ukraine Foundation Arseniy Yatsenyuk stressed during the meeting. "Today we stand on the outpost of the democratic world", – Arseniy Yatsenyuk stressed. 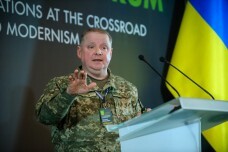 "Ukraine has very capable Armed forces, and we see how they have changed over the past four years. We expect to see the same evolution over the next four years. Ukrainian troops set a very high standard for themselves – to achieve NATO standards. And we want to do our best in order to support Ukraine on this path", – said the U.S. Ambassador to Ukraine Marie Yovanovitch. 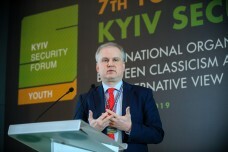 Head of the NATO Representation to Ukraine, Alexander Vinnikov, noted that at the upcoming summit, NATO will once again reaffirm further support for reforms in Ukraine and "strengthening Ukraine's defense and security capabilities". Roman Washchuk, Ambassador Extraordinary and Plenipotentiary of Canada to Ukraine, expressed his position on the NATO Summit: "At the Alliance Summit, the confirmation of the unity of NATO member states will be an important issue". "We need to demonstrate the cohesion and unity within the Alliance, and it will be necessary to work on this during the next two days", – said Roman Vashchuk.